Rust brown cashmere Zibelline car coat from Adam Lippes. Where would we be without our favorite coat? Whilst some of us barely need a jacket even in winter, there are still stylish options that have you covered for those colder evenings that happen from time to time. If you are from the north, you can also find a great range of winter coats that will keep you warm all year around. 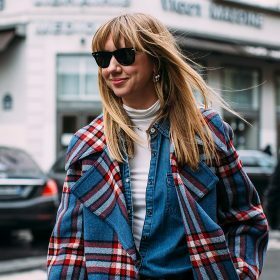 There are so many different styles, colors and materials of coats and jackets so make sure to make use of the filters to find your perfect look.